HS50M, Active Monitor from Yamaha in the HS series. delivers 55 Hz --- 20 kHz frequency response. • 70 watts dynamic bi-amplified power. I needed a good studio monitor to fit on a smaller desk. 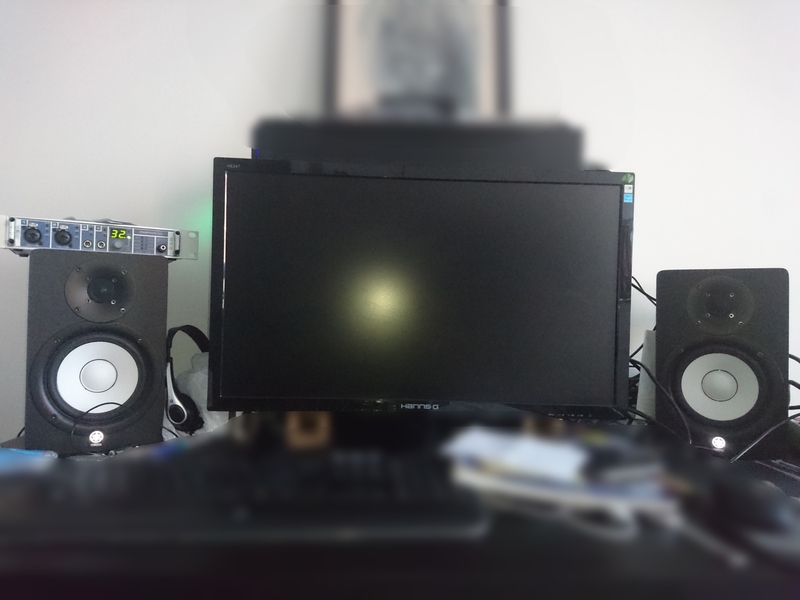 My main studio is limited in space and I was careful to find smaller monitors that would still deliver a perfect sound. I went to a local music store and a trusted salesman told me I won't find better than the 50M. They had the newer HS 5 in stock too but they still had a few HS 50Ms in stock as well and he said go with that. I use them for mixing, monitoring and mastering my music. The stereo image is great. I have two set at the same angle, an equal distance from my chair. Every little detail in my music comes out so clearly that I can't help but notice tiny things that I would never hear in normal speakers. For example, I was mixing a project for a client and he had forgotten to adjust his mic pre-amp gain before recording vocals. He was unable to get another recording to me, so I ran it through an analog mixer to boost the volume a bit. Of course, this caused a bit of background fuzz to appear. After getting rid of as much fuzz as I could, I finished the track and sent it to the client. I explained to him that he may hear fuzz throughout the track and he responded that he couldn't! I listened in many other speakers and couldn't hear it, it only appeared with the honest response of the HS 50Ms. I love how detailed the speaker's response is. I especially like that I can listen to the smallest changes I make in effects plugins and tell the difference. If you can find these for around $200, they are very much worth it. If you are spending more you may compare them to some more expensive monitors, but otherwise I'd say you can't go wrong. If something were to happen to my speakers, I would try to replace them with the 50Ms all over again. They are very nice and give you an honest perspective on the sounds you've recorded. MountAnDewMe's review"An honest performer in its class"
When I was in need of a small footprint monitor system for my home studio I needed to blend my space restrictions with a solution that would provide a decent real world transition. 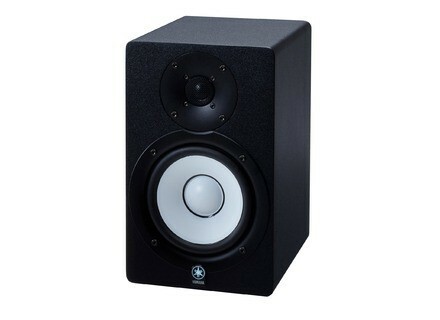 After much research, I decided upon the Yamaha HS50M monitors. Each offer 70 watts of biamplified power feeding a 5" woofer and a 3/4" tweeter. Made from a MDF enclosure that is rear ported and shielded they are at home close to your display. There are both XLR and RTS inputs available with a level control on the rear. These monitors also offer four room control switches that tailor the sound. The HS50M monitors offer a high quality stereo image when used in a near field-monitoring situation. Putting a good mix together in regards to performance placement is easy when using these monitors. I also find that dynamics translate rather well on these small monitors. When testing them using a reference source such as a classical orchestra or an old Pink Floyd disk all the subtle nuances are instantly recognized. These speakers offer flat and honest sound reproduction. Once tuned to your specific room you will get reliable sound from them that translate well to real world sources. 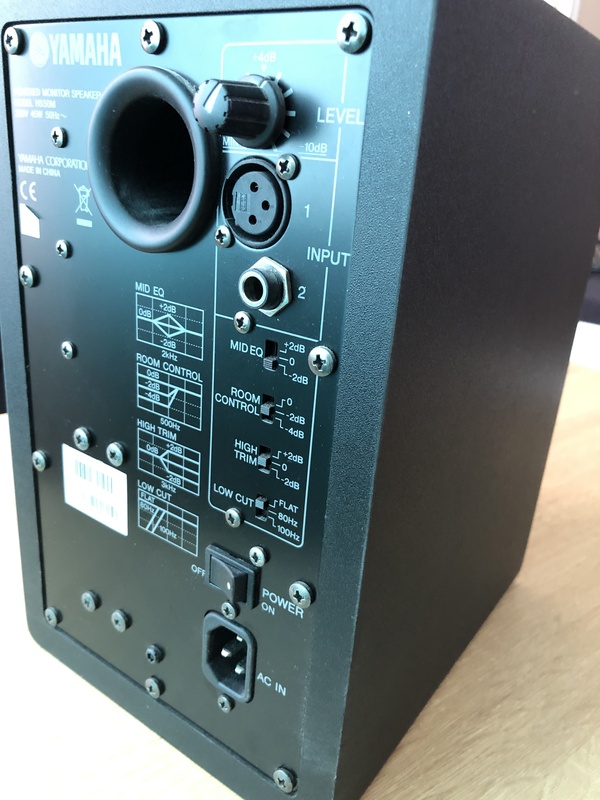 The four switches on the rear panel control mid eq (+-2 db @ 2 kHz), room control (0,-2,-4 db shelf @ 500 Hz), high trim (+-2 db shelf @ 3 kHz), and low cut (flat, 80 Hz, 100 Hz) to tailor for use with a 2.1 or 5.1 system that uses a sub woofer. This makes these little wonders movable from area to area if need be and still offer a valid mix environment. They have a standard frequency response of 55 Hz-20 kHz. I previewed many models from different manufacturers in different stores before arriving at the decision that no other pair could match the HS50M in terms of honest reproduction. Every other brand in this size and price group (under $500) had some issue with coloring of the sound somewhere in the spectrum. I found these to be the most precise for mixing and mastering in my small home studio environment. While $400 is a modest amount of money, these are used extensively in my home and remain in perfect working condition. Definitely, worth every penny they cost. I believe my favorite aspect is they work well in a low volume setting saving the ears offering the prospect of longer sessions. If one were to go down, I would not hesitate to replace it and when I am affronted, the luxury of more space in a more volume friendly area I will most likely find myself investing in the HS80M. chrislieck's review"NOT A NS10 M"
A bit cautious on the effects mixing. When effects mixing on smoother sounding monitors you have to be very careful with your effects especially reverbs. Snare reverbs were too smooth for my liking as was the vocals. I like the fact that they provide a more comfortable listening experience but for me that can be a bit deceiving. My ears are more trained for the high boost that a classic NS10m provides which makes you work really hard and long on the midrange tones of your mix. It also makes you work harder on your vocal compression and you can hear any fluctuation in the vocal tracks and in the snare tracks. These speakers provide a good listening experience but not as flat for my liking as I would like out of a speaker. 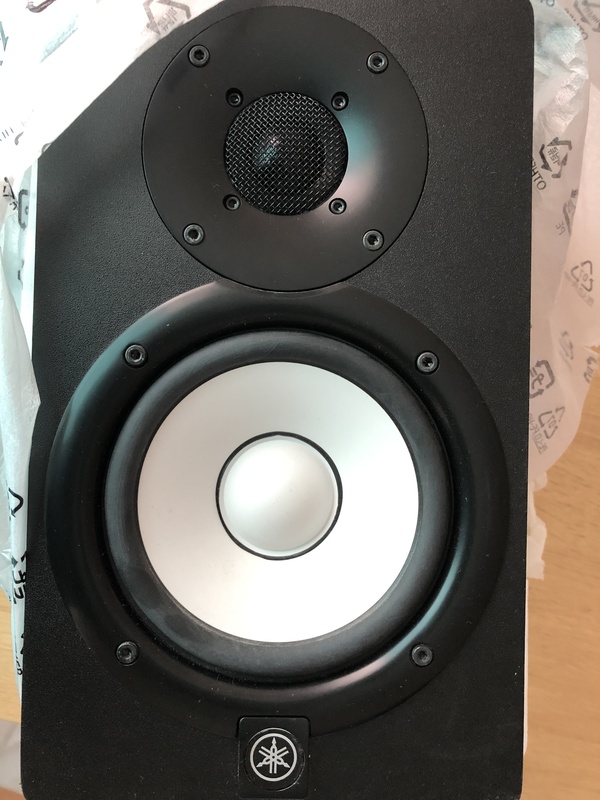 I will stay with the old NS10M and a good pair of JBL's and even the Mackie h824s which to me are more like a slightly enhanced NS10m more than any other speaker. Buy a pair of Mackie H824 and you will like them more. I think I like the bump of these but not the unrealistic sound of any of the new Yamahas. I just don't trust their representation. If I am buying Yamaha, again I would just buy the NS10m's. AudioArtist's review"Very Good for the class"
The Yamaha HS50M's are a (sort-of) newer version of Yamaha's very famous and sought after NS-10's. This may sound odd, why try to re-create what is arguably one of the better nearfield monitors ever made? I suppose Yamaha simply decided, "Hey, we've got all these new manufacturing techniques, several more years of trial and error work done, cheaper materials, etc. Why, NOT! try and make a cheaper, more modern predecessor to the NS-10's!" The HS50M's are active monitors with the features you would expect from a solid product of it's class and price range. What you may not expect is how good these monitors really are. Having used these quite a bit, I can assure you that you can acheive some really well balanced mixes with them. I would not recommend these for mastering unless you have done very good sound conditioning to your mixing environment and also have a decent or appropriate subwoofer to pick up the slack in the low-end. When the HS50M's are set up in your workspace properly you should not have any major issues with getting a fairly represented stereo image. This of course assumes that you have treated your room environment accordingly for serious work. The HS50M's handle very dynamic content just as well as they handle tragically over-compressed or over-limited content. You will be surprised at how loud and how full they can sound given their diminuitive size. The HS50M's deliver an incredibly close approximation of the characteristics of the time-honored NS-10's. They are very stable and acceptably flat from 200Hz-20kHz. Just understand that a speaker of this "average" size is never going to knock picture frames off your walls. Their intended use is NOT to "thump", but to be precise in their clarity and definition. Yet again, the HS50M's are very suited for semi-pro to pro mixing, however, your personal preferences and needs should always be the deciding factor in the gear that you buy. 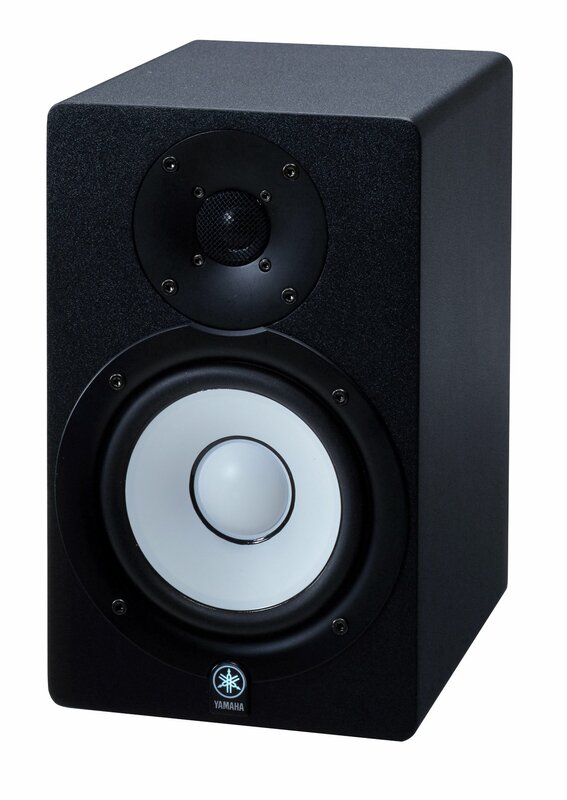 As with all smaller nearfield monitors in this class, the low-end just isn't there. The HS50M's more than make up for the lack with excellent response from about 200Hz - 20kHz. They are indeed quite suited for more serious mixing if the nearfield monitoring approach is right for you. 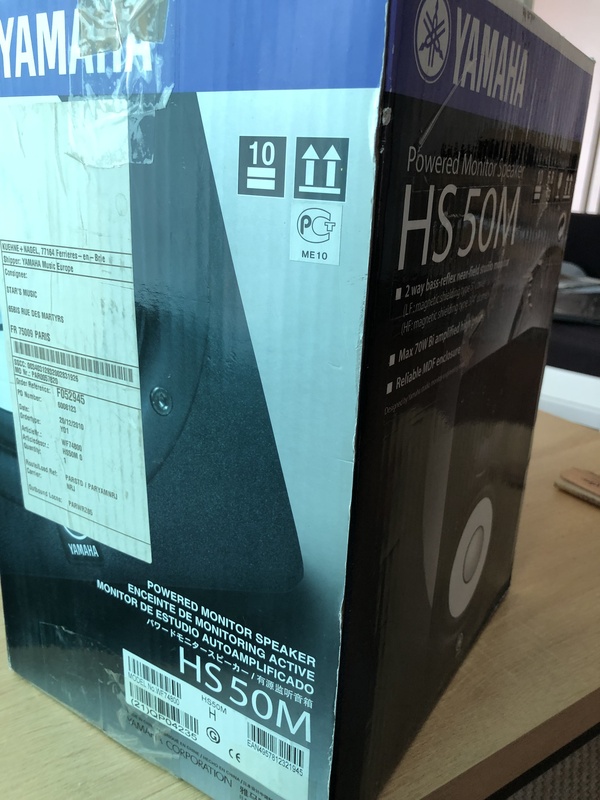 I've seen the HS50M's selling for widely variable prices so definitely shop around and find the best you can. I would not recommend paying anything over $400 us for a pair. At that point you could save a little bit more and purchase something better. Other than the obvious lack of really deep low-end, (150Hz and below), the HS50M's are a very well balanced and pleasing monitor to use. Partnered with an appropriate subwoofer and a well treated room, one could expect to do some very good work with these. I've tried several other monitors in this class/size/etc. and the HS50M's would be my choice of the bunch. They seem to deal with and present the lower frequencies better than some of their smaller competitors without sacrificing a well balanced mid to treble response.